It’s no secret that parenting is exhausting. What’s not talked about often enough, though, is the fact that it’s totally okay for parents to have their own getaways without the kids. As a matter of fact, it should be required just like taking time off of work is! If you have someone you can trust with your kids for a few days, I highly recommend taking a vacation with just your spouse. It helps you both refresh, rest, rekindle your spark and gives you time to miss your kids. You seriously come back better parents and better partners. I can’t stress enough how necessary this break is. 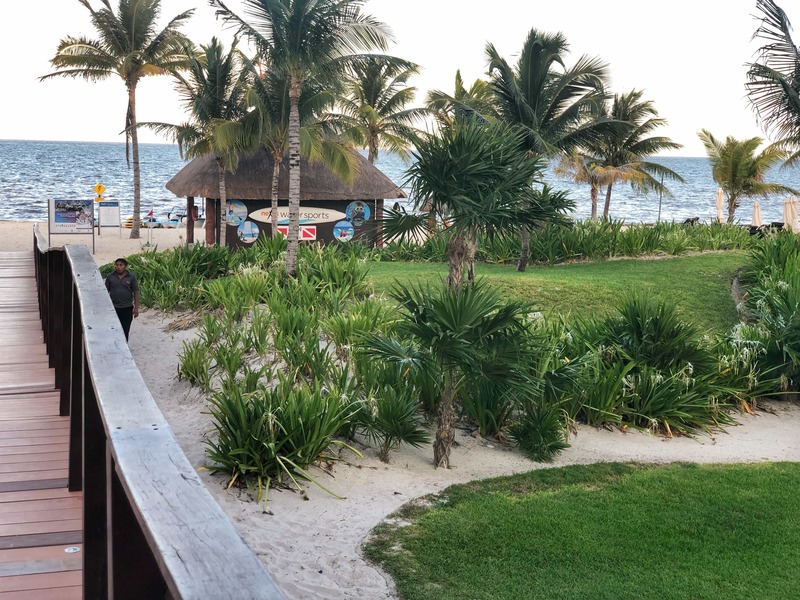 Yes, I felt guilty at first- but the moment we arrived at the Hideaway at Royalton Riviera Cancun… I knew we needed this! My kids were completely safe and happy with their grandma and we were safe and happy on the resort for three glorious nights! As an active couple, though, it’s important for us to remain active even when on vacation. 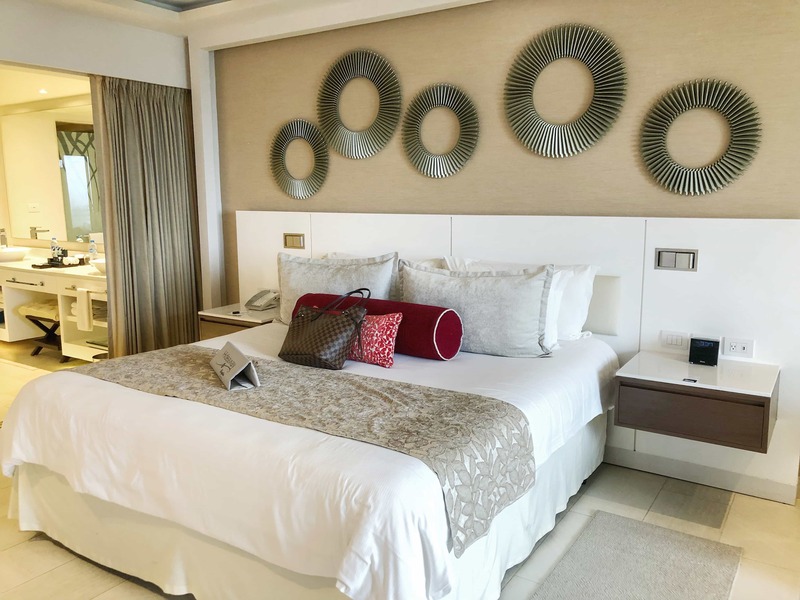 One of the reasons we stayed at the Royalton Resort was because they have the Royalton Fit program. 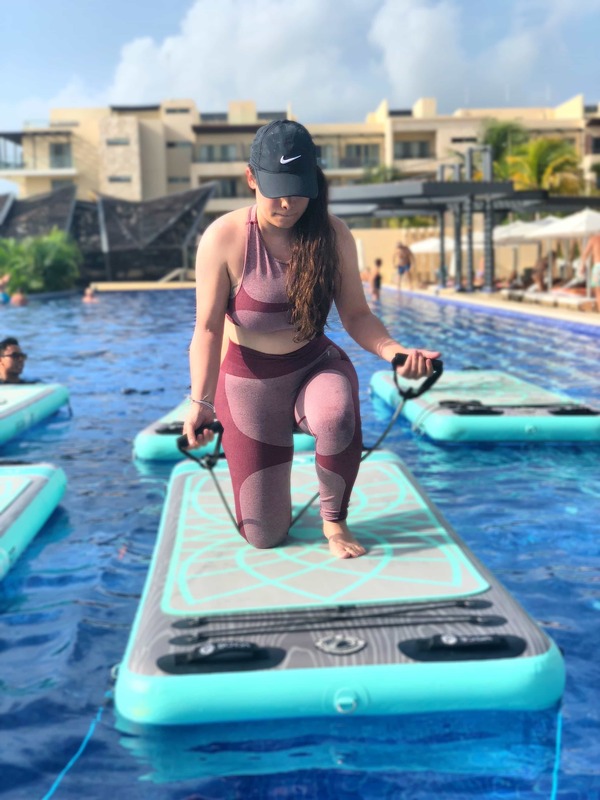 So I wanted to talk to you all about how we kept up with our fit lifestyles while at the Royalton Resort. Before we arrived at our hotel, we printed out a copy of the Royalton Fit classes that would be offered during our stay. They have a ton of different classes throughout the day, so no matter what you’re schedule is there is something you can make. I immediately knew that I wanted to try the Boga Bootcamp and the Kickboxing classes. P.S: They also offer a yoga version of this class. Not to mention, the trainers are amazing and super friendly! As a matter of fact, even when I hit their gorgeous two story gym, I couldn’t help but notice how friendly the staff was. That being said, if you’d rather hit the gym than try a class, their gym has everything you need. 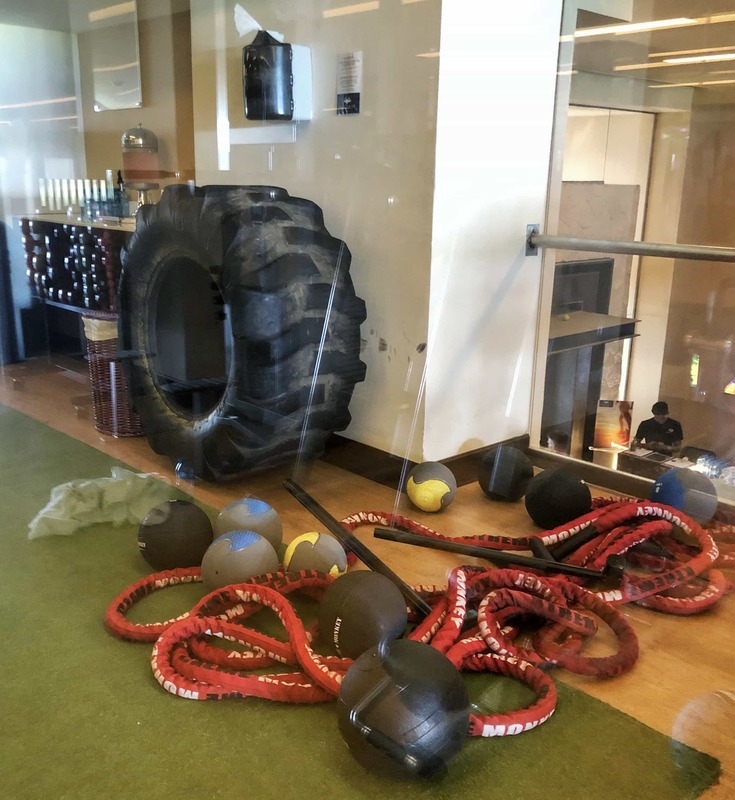 They even have battle ropes, tires and punching bags… which are things I have never seen at a hotel gym before. 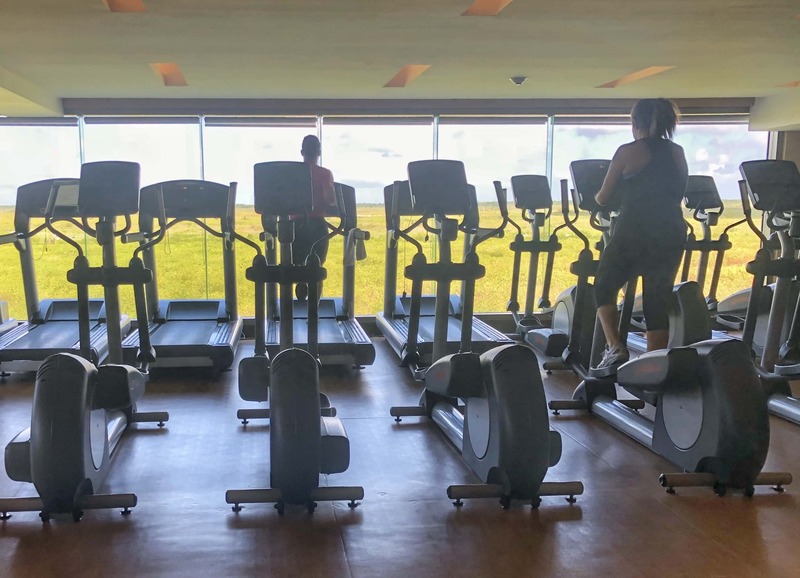 You also get to do cardio while overlooking the ocean! Another way to stay active at the Hideaway at Royalton Riviera Cancun is to do water sports in the ocean. Super fun and exciting! Overall, the Royalton Fit program is great for anyone who is on a fitness journey. 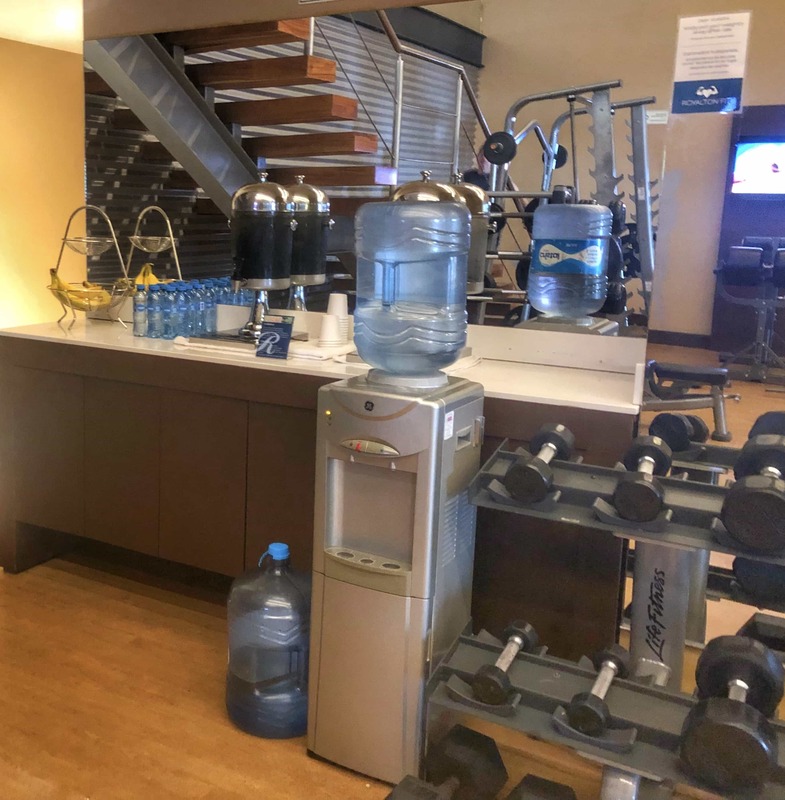 Whether you want to stay on top of your goals, just need your usual endorphin rush or just don’t want to fall off the wagon- Royalton Fit offers several options that will only add to your vacation fun. They also have a ton of food options available. Personally, when I’m on vacation, I like to do 50/50 when it comes to food. It’s vacation, so I think it’s important to enjoy foods and dive in to the culture. However, I also don’t want to feel bloated and lethargic the entire time so balance is key. 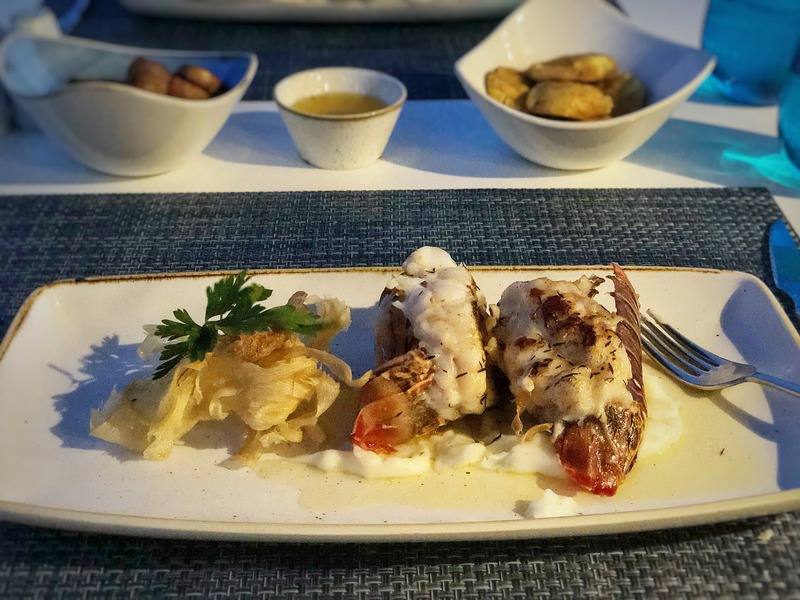 The food at the Royalton Riviera Cancun was amazing. My husband and I couldn’t stop talking about how good their food was. The options are plenty. If you’re keto, gluten free, paleo, whatever, there are many options for you. If you just do general clean eating, of course, there are options for you. And if you want to cheat, there are options for you. 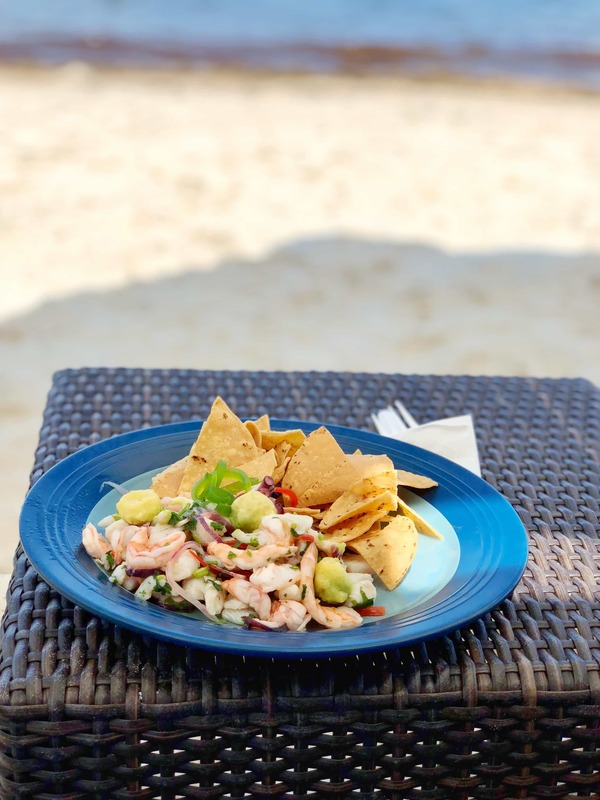 Some things you must try when you stay at the Royalton: Ceviche, lobster, chilaquiles, chorizo and potato tostada, salmon omelet, enchiladas, shrimp tacos, ribs. The seafood there is so fresh and delicious so if you like seafood and do not have any allergies- eat all the things! 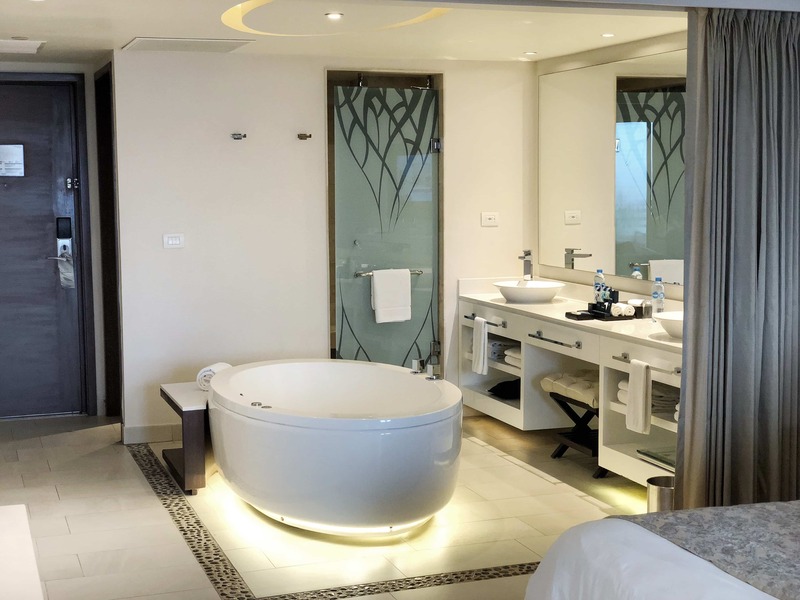 The rooms are very modern and comfortable. We slept like babies. 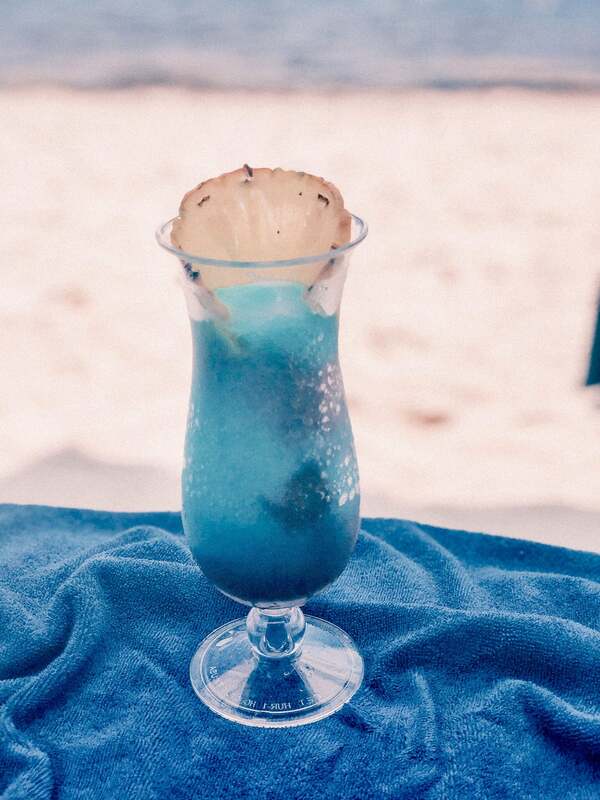 The Kukulkan was my favorite drink there and I highly recommend it. There is cold water and electrolytes available at the gym, so you don’t have to worry about taking your own. 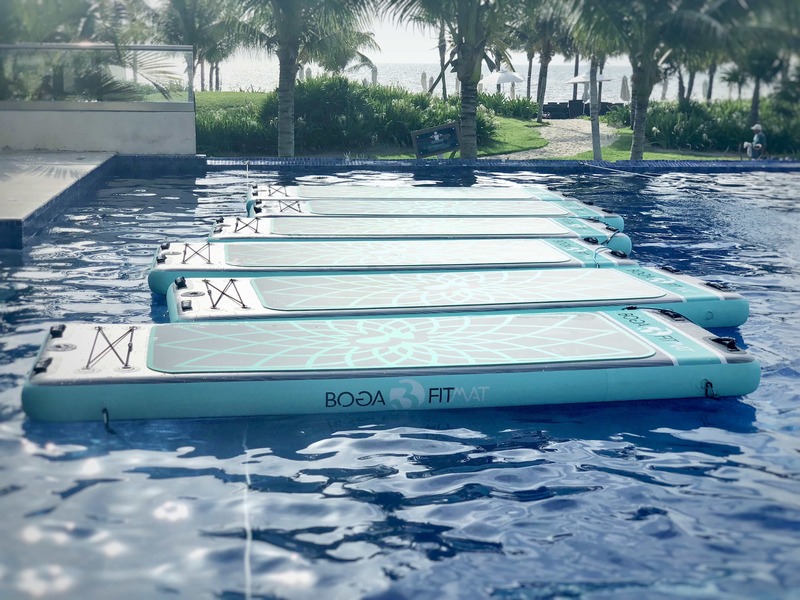 Any classes on the Boga mat are a must try! I hope this was helpful! Feel free to reach out to me if you have any questions! Disclosure: This stay was provided to me in exchange for my thoughts. However, all opinions are 100% my own.